"A tasty, sweet, nutritious smoothie that you'll crave every day!" 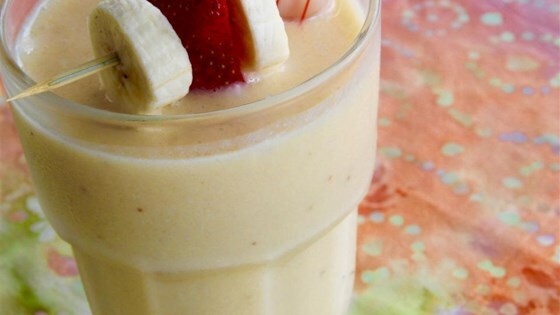 Pour milk into a blender; add peaches, banana, and yogurt. Blend mixture until smooth; add chocolate sauce and blend until smooth.